Detecto’s in-bed scales feature flame-retardant, antibacterial 6 ft (1.8 m) long stretchers which are placed underneath the patient and hydraulically lifted inches from the bed for weighing. 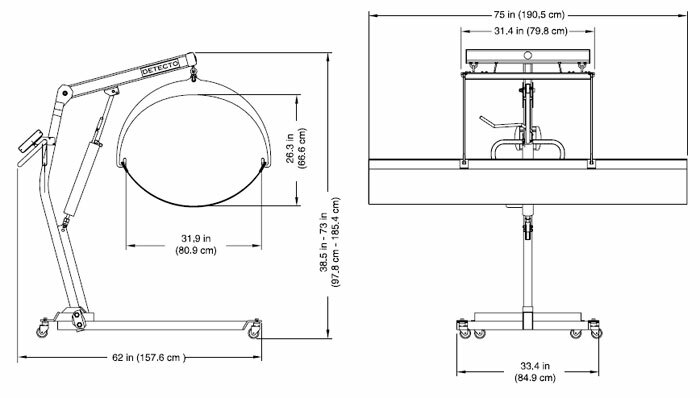 They feature locking casters, adjustable weighing arm, and American-made steel construction. Detecto’s in-bed scales feature flame-retardant, antibacterial 6 ft (1.8 m) long stretchers which are placed underneath the patient and hydraulically lifted inches from the bed for weighing. 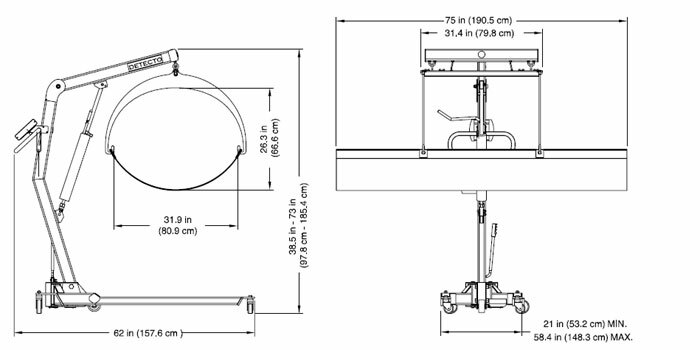 They feature locking casters, adjustable weighing arm, and American-made steel construction. The ZERO key allows staff to easily subtract the weight of bedding for accurate patient measurement. Six AA alkaline batteries (not included) or optional AC adapter. Not for transport. EMR/EHR ready.. The model 750 digital weight indicator for Detectos IB series in-bed scales features EMR/EHR-ready serial connectivity, Body Mass Index calculation, LOCK/RELEASE key for weight retention, and large 0.75-in/19-mm high LCD digits for big, bold readouts. The scale is powered by 6 AA batteries (not included) or optional AC adapter. Detectos IB series has the ability to interface with a computer, monitor, printer or other electronic device via RS232 serial connectivity for fast and easy data transfer. Integral stretcher carrying straps and cup plus "easy stow" hoops make the IB series ready for transport. 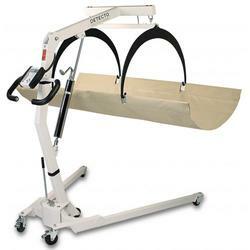 Replacement stretchers are also available. Detecto’s digital in-bed scales feature Sure-Check® flame-retardant, anti-bacterial 6 ft / 1.8 m long stretchers which are placed underneath the patient and hydraulically lifted inches from the bed for weighing. They feature locking casters, adjustable weighing arm, and sturdy steel construction. The model IB800 features base widening stance for added stability. The ZERO key allows staff to easily subtract the weight of bedding. The IBFL500 and IB800 are not for patient transport.